The next Tennessee Naturalist Program course at Cedars of Lebanon State Park begins Saturday, 23 February 2019. Registration is now open, and the seats are filling up fast. Class size is limited to just 20 students so if you know you want in this class register early. 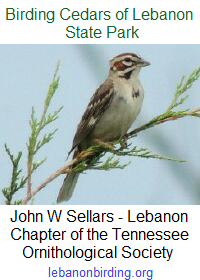 This entry was posted in Announcement, Public Notice, Tennessee Naturalist and tagged Cedars of Lebanon State Park, Lebanon TN, Tennessee Naturalist Program. Bookmark the permalink.